The artificial starfish and seashells are environmental friendly � no more collecting from the wild! In addition, they will not breakdown or alter your water chemistry like real ones will. The biOrb artificial starfish, sea stars, moss pebbles, topiary and flower balls and seashells are also perfect as �dry� displays in bowls on your coffee table or in your lounge room or bathroom. 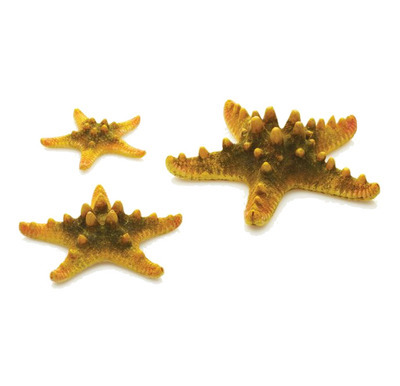 The sea stars will also make great wall display art for your entranceway!